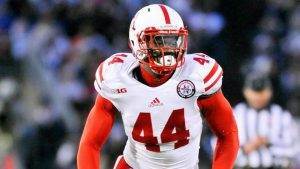 Randy Gregory was born in Jacksonville, Florida on November 23, 1992. He played collegiate football as a Nebraska Cornhusker and is currently a defensive end for the Dallas Cowboys, who drafted him in the second round of the 2015 NFL Draft. Randy Gregory spent his youth moving around seven or eight times before his family finally settled down in Indiana, where he attended high school at Hamilton Southeastern in Fishers, Indiana. While at Hamilton Southeastern, Gregory enjoyed a successful high school career on both the football field and the basketball court. Growing up, Gregory mainly played on the offensive side of the ball as a running back, but he was switched to defensive end his sophomore season in high school. Randy Gregory had a breakout junior season at Hamilton Southeastern and recorded 92 tackles and 17 quarterback sacks. After his senior season, Gregory was considered one of the top 15 players in the entire state of Indiana and had numerous scholarship offers from colleges around the nation. In addition to a plethora of scholarship offers for football, Randy Gregory also received several scholarships from Division I colleges to play basketball. Randy Gregory initially committed to play college football at Purdue, but in what he describes as a bad case of “Senioritis” his grades began to slip. Which kept him from attending Purdue for academic reasons. Due to Randy Gregory’s academic problems, he decided to continue his football career at Arizona Western Community College. 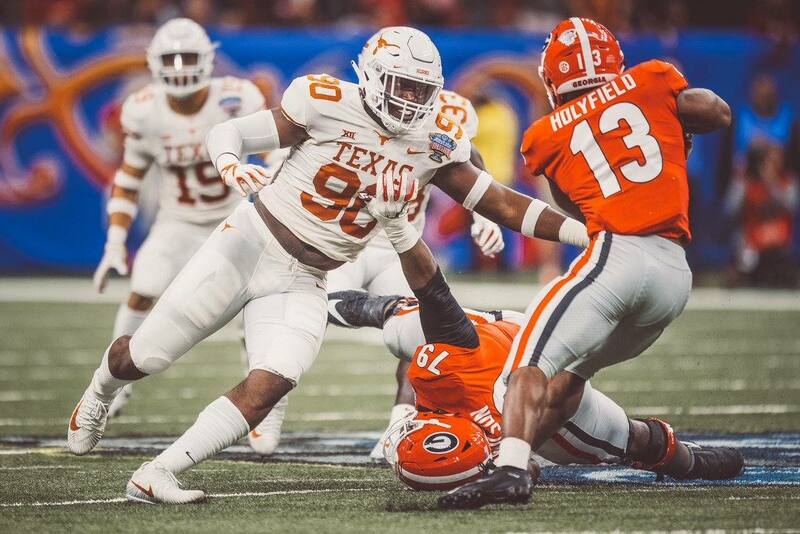 As a freshman in 2011, Gregory accumulated 82 tackles, nine quarterback sacks, 21 tackles for loss, three forced fumbles, and two recovered fumbles. Unfortunately, Gregory suffered a broken leg that pretty much wiped out his entire 2012 season. Despite this, Randy Gregory was still considered one of the top-10 JUCO prospects — regardless of position — and was regarded as one of the best junior college defensive end prospects in the nation. 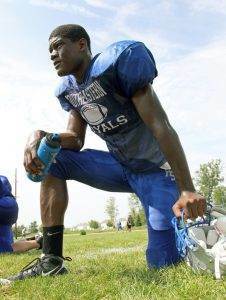 Randy Gregory received scholarship offers from dozens of programs including Iowa, UCLA, Missouri, Arkansas, Oregon State, Washington, Illinois, and West Virginia. He visited Iowa State and Nebraska before ultimately deciding to continue his collegiate career as a Nebraska Cornhusker. In his first year at Nebraska, Randy Gregory started 10 of 13 games. He reported 64 tackles, 10 ½ sacks, and one interception that he returned for a touchdown against South Dakota State. Gregory’s 10 ½ sacks led the Big Ten. In 2014, Gregory had 50 tackles and seven sacks. Following his 2014 season, Gregory decided to forgo his senior season and enter the 2015 NFL Draft. Randy Gregory was considered one of the best pass rushers available in the 2015 NFL Draft. His name even popped up as a potential #1 overall draft pick, but many draft analysts projected that he wouldn’t drop out of the top 10. Unfortunately, Randy Gregory ended up failing the 2015 NFL Scouting Combine drug test, for marijuana, and his draft stock took a huge hit. 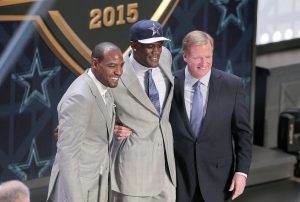 Gregory did not hear his name called on the first day of the 2015 NFL Draft and slipped out of the entire first round. He continued to slide in the second round until the Dallas Cowboys decided to use their second round pick (60th overall) to secure Randy Gregory’s services. 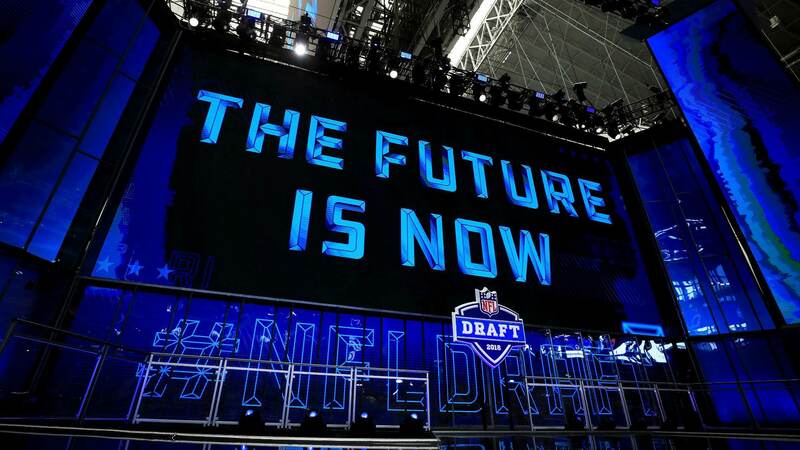 The failed drug test at the Scouting Combine for marijuana hurt his draft stock, but he was also being considered as part of the league’s substance abuse program. The next violation for substance abuse would mean a four-game suspension for Gregory. Randy Gregory showed promise as a rookie during the Dallas Cowboys’ preseason. He recorded three quarterback sacks in three preseason games. In the season opener against the New York Giants, Gregory had three quarterback pressures in only 18 defensive snaps, but unfortunately, he suffered a high ankle sprain that would cause him to miss the next four games. Gregory made his return to the field in Week 7 against the Giants, but the time away from the game really stunted his development. 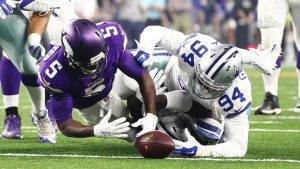 It wasn’t until Week 10 that Randy Gregory was finally able to register his first career tackle in the NFL, against the Tampa Bay Buccaneers. He didn’t register a quarterback sack in the 2015 season, but managed 16 quarterback pressures (fourth on the team). Randy Gregory will miss the first four games of the 2016 season under suspension for violating the league’s substance abuse policies. He will have a lot to prove once he is able to return to the field in Week 5 against the Cincinnati Bengals. Randy Gregory is entering the second year of his rookie contract. The total value of Gregory’s contract is $3,814,936, but only $1,404,500 of that is fully guaranteed. Gregory will make an average of $953,734 per season. His contract makes him the 52nd highest paid out of 116 outside linebackers in the NFL. 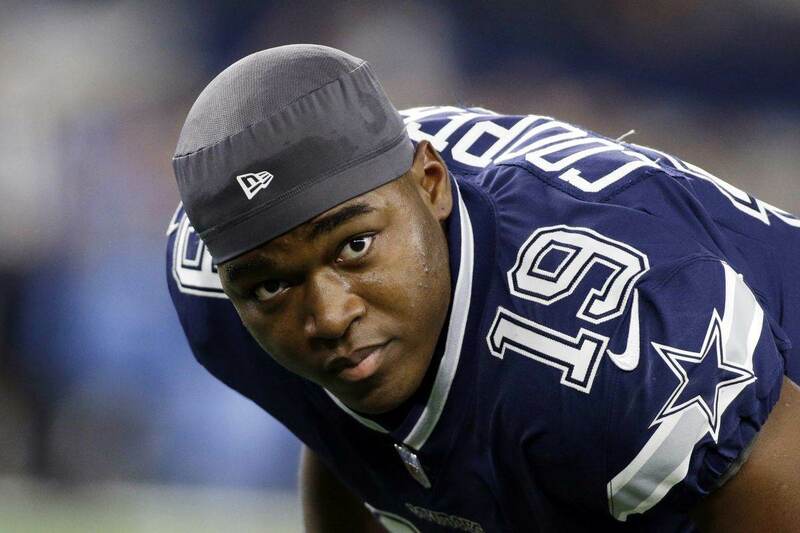 Gregory’s base salary in 2016 is $608,406 and his cap hit will be $867,031. In 2017, Gregory’s base salary will be $781,812 and his cap number will be $1,040,437. In the final year of Gregory’s rookie contract in 2018 his base salary will be $955,218 and his cap hit will be $1,213,843. If Randy Gregory plays out his rookie contract, the Dallas Cowboys will then have to decide if they want to offer him a second contract or not.